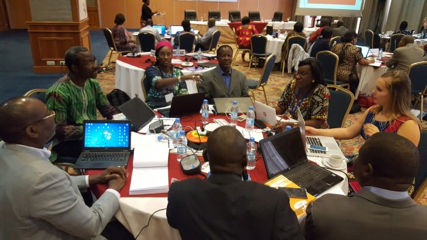 Ouagadougou, Burkina Faso - Reproductive health and family planning experts have agreed to scale up access to quality family planning and improved reproductive health services for young people. At the first annual meeting of the ‘Africa Strategic Technical Engagement with Evidence for Results’ (AfSTEER) in Ouagadougou, Burkina Faso from 28 November to 1 December 2017, the experts outlined a range of concrete actions to support 4 countries (Burkina Faso, Cote d’Ivoire, Ethiopia and Uganda) to address the high unmet need for contraception and good quality family planning services. "Family planning is a vital intervention, playing an essential role in achieving most of the Sustainable Development Goals (SDGs)," according to Dr Alimata Jeanne Diarra-Nama, WHO Representative for Burkina Faso. 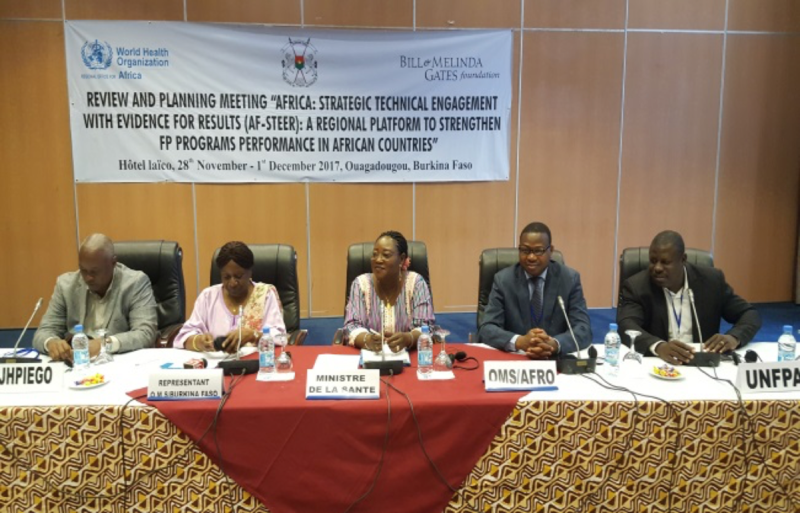 Her remarks were echoed by Dr. Francine Douamba, Secretary General of the Ministry of Health of Burkina Faso, who said: "if unmet needs in FP were fully covered, maternal mortality would be reduced by 67% and neonatal by 77%". Participants shared research, best practices, and took stock of progress towards national strategies to deliver universal access to family planning. This year there has been increased availability of quality services as well as guidelines, and training materials for post-partum family planning (PPFP) and post-abortion contraception (PAC) in all the 4 countries. The meeting brought together, representatives from Health Ministries, obstetricians, gynecologists, and midwives; UN agencies and development partners. Funded by the Bill and Melinda Gates Foundation (BMGF), AfSTEER is a WHO regional platform to strengthen FP programmes’ performance in African countries.